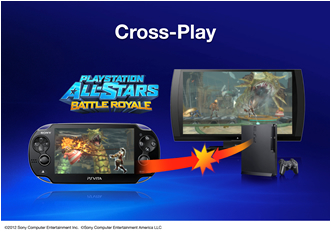 Cross-Play feature allows PS Vita and PS3 users to enjoy match or collaborative gameplay. Play, race, fight or team up with other players on either PS Vita or PS3. 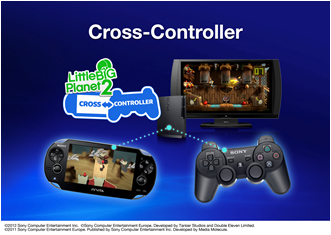 The Cross-Controller feature allows a player to use PS Vita as a controller to play games on PS3. By utilising its rich features including touch screen, rear touch pad, six-axis motion sensing system, and cameras, users can enjoy a new PS3 gaming experience unlike that played with DualShock 3 wireless controller for PS3. 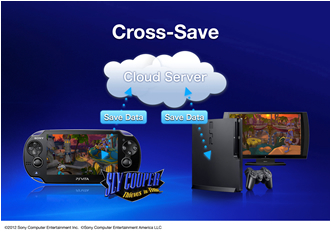 By managing game data from PS Vita and PS3 in the cloud, the Cross-Save feature enables users to continue playing their game on the go on PS Vita, right from where they left off on their PS3 at home. 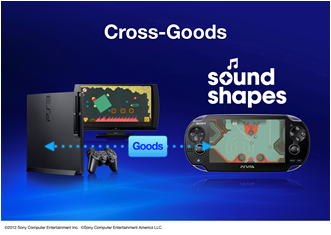 The Cross Goods feature allows users to share downloaded content or user generated content between their PS Vita and PS3. Unlock or create in-game items and use them when playing on both PS Vita and PS3. Cross-Buy enables owners of PS3 and PS Vita to purchase a game for one platform and play on another for free, or at a discount. With game experiences being near-identical across PS3 and PS Vita Cross-Buy delivers unmatched value for money. 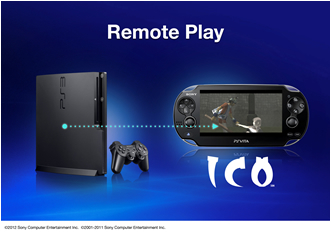 Remote Play allows PS Vita users to remotely access their PS3 to enjoy content including games and videos. This feature is also available on the PSP and can work over 3G (using a 3G PS Vita) or using Wi-fi.